Between Marquette’s insane snowfall the past few days & the holiday cards that have started to trickle in, it’s safe to say I’ve slipped past my usual excitement around this time of year & into full-on Christmas fever. I love it! 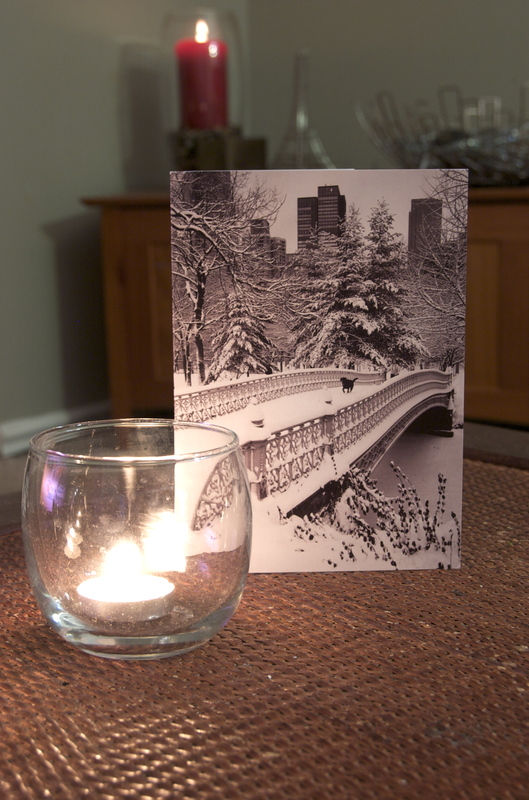 Today I received a card from my cousin, Dana, in New York. I would love to be there visiting right now! What I would give to see Central Park in the winter! 6. How The Grinch Stole Christmas The old cartoon, that is, because Dr. Seuss is absolutely amazing! 5. The Polar Express It’s such a charming story & the author of the book, Chris Van Allsburg, is from Grand Rapids! 4. The Family Stone If you love your mom, watch this movie. 3. The Holiday This movie is just perfect. It’s a huge favorite of mine to watch with my dear friend, Robbie. Berry kiss!! 1. White Christmas This is the B-E-S-T Christmas movie ever! I watch it on Christmas Eve every year & finds its way deeper into my heart every time I watch it. If you like old movies (it was made in 1954), musicals, comedies, dancing… It’s all of those things! 5. I’ll Be Home for Christmas I love this song so much more now that I live so far away from home. And good luck finding someone better to sing it than Frank! 4. I’ve Got My Love To Keep Me Warm sung by Ella Fitzgerald & Louis Armstrong. Billie Holiday does a great job singing this song too. I can’t decide which one I like more. 2. Baby It’s Cold Outside This is such a close second to my favorite! Zooey Deschanel sings such a beautiful version of it as well! 1. White Christmas There is only one person I want to hear sing this song & it’s the same person who stars in the movie: Bing Crosby. His voice is amazing & the timelessness of it makes it my number one! !